Hugh Sexey's Under 13s National squad travelled locally to Crispin School in Street. We arrived late due to a mix up with the coach company, but thankfully we had parents who were able to come and pick up the children and take them to Crispin to play this important match. A quick warm up and then we had to crack on with the game. Hugh Sexey's started the game by playing some really good football which resulted in us winning a penalty, Seb Martin using his experience to slot the ball home comfortably:1-0. A few minutes later an on-target bullet shot from Luke O'Brien put Hugh Sexey's in the lead: 2-0. Hugh Sexey's let their heads drop a little which enabled Crispin to score two long range goals and even out the score: 2-2. After the equaliser, Louis Bougourd scored a brilliant solo goal to settle Hugh Sexey's nerves before half time. In the second half both schools continued to play some great football but no more goals were scored. So when the whistle went Hugh Sexey's had won 3-2; we now progress onto the next round. 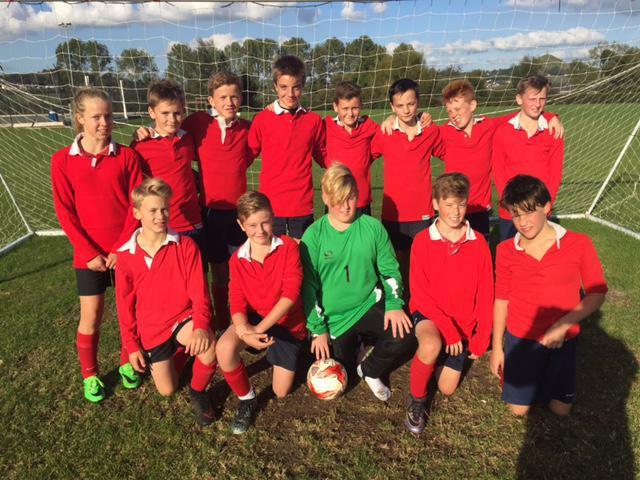 We saw some great team football, played on a bumpy pitch which isn't easy; well done guys.